Silica has several functions and health benefits. Silica is the most abundant mineral found on earth. Unfortunately, Silica's role within the human body has been poorly researched. However it is known to be essential for the integrity of the skin, ligaments, bones and tendons (all of which contain large amounts of silicon). The best dietary sources of Silica are whole grains such as oatmeal and brown rice, organ meats and root vegetables. 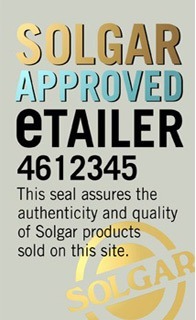 FP Silica Vegetable Capsules is one of Solgar's premium-quality Silica herbal formulas.